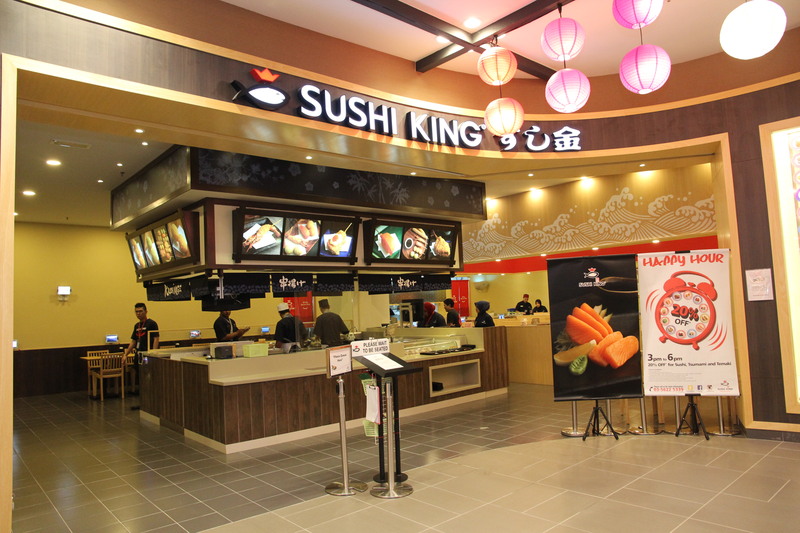 Sushi King’s 100th Outlet Grand Opening at Aeon Shah Alam on 15th March 2016. 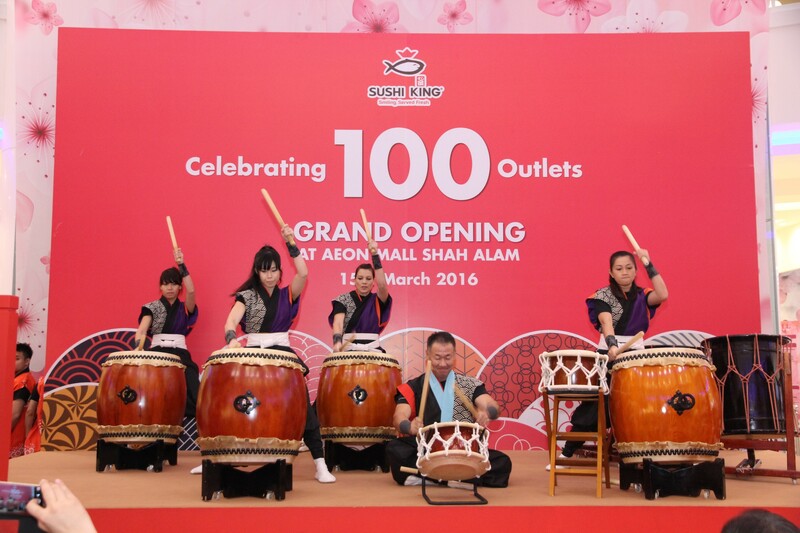 Kick-start Sushi King’s 100th outlet grand opening celebration with a power Taiko drum performance. 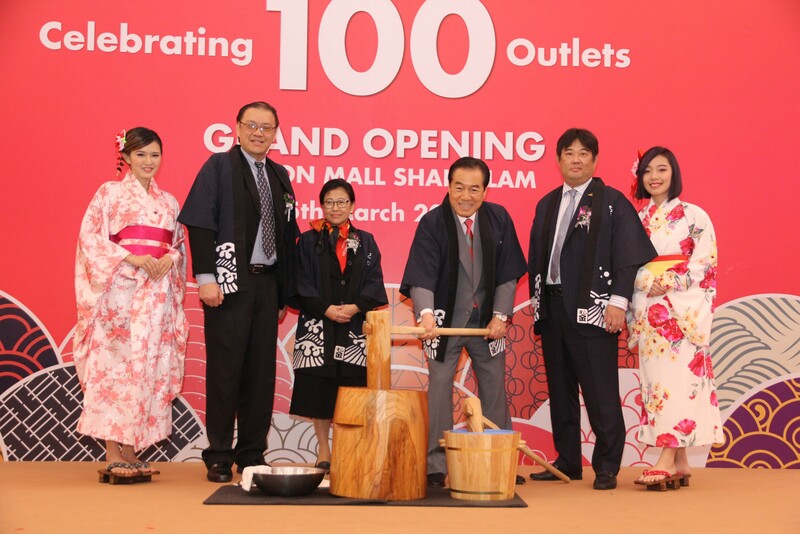 Mochitsuki - a traditional mochi-making technique, signifies gaining good fortune in upcoming years. 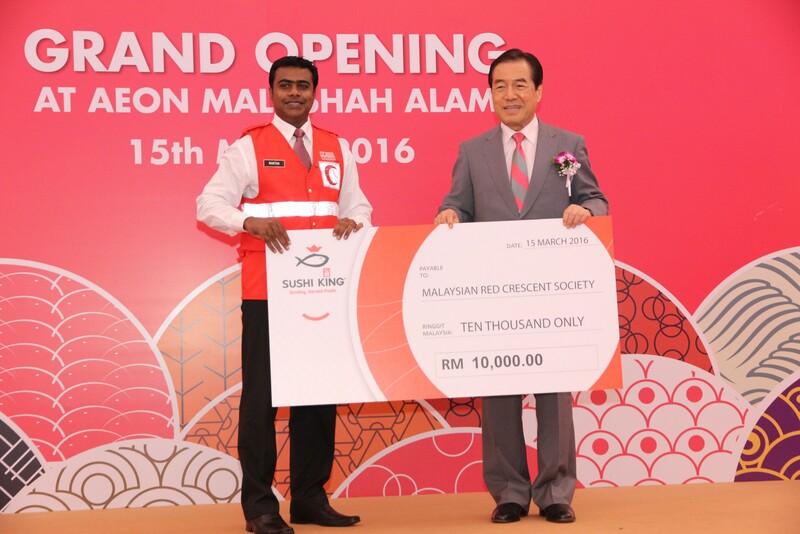 Tan Sri Dato Seri (Dr.) Fumihiko Konishi donates RM10,000 to the Malaysia Red Crescent Society.